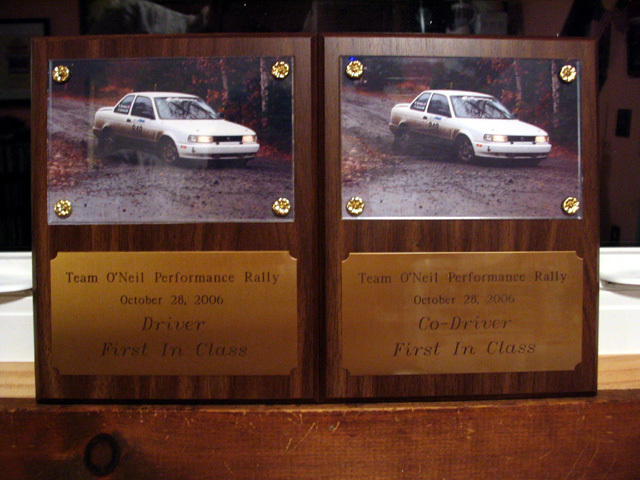 Amilio Arce, a friend of mine that I first got to know when were trading times at NER RallyCrosses, emailed me about a buddy of his, Gus Garrido, that had just finished building a rally car and was looking for someone with experience to navigate for his first event. Always willing to help new people, I agreed. Despite the ugly weather, and a limb that almost fell on the front of the car during a transit, we kept it on the road and won our class. Not bad for Gus' first rally! 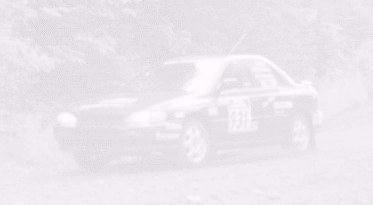 Gus has links to a photos and videos on his web-site: www.CiclonRally.com (scroll down to the bottom).